We are a public art practice and cultural consultancy based in Sydney, Australia. We acknowledge the traditional custodians of the land on which we live and work, the Gadigal people of the Eora nation, and we pay our respect to Elders past and present and future. We are artists, curators, strategists, collaborators, urbanists and cultural leaders. These roles come together in an expanded practice founded in the relationship between place, technology, community and environment. We create large-scale public, community and environmental artworks; develop public art and cultural strategies; and collaborate with multi-disciplinary teams on master plans for major urban and regional renewal projects. We are committed to expanding the potential of public art and cultural practice through our collaborative work with clients, other artists and design professionals, scientists, academics, and communities. We believe that artists are agents of change and can make a valuable contribution to civic thinking and planning. With our combined experience as artists and strategists, our studio is uniquely placed to offer an innovative approach to the development of vibrant, holistic visions for the future of our public environments, and the way we live in them. Our aim is to reconnect people with nature, in place and with community. Our projects seek to reveal the invisible, remember the forgotten and imagine the future. We aspire to facilitate inclusive, sustainable and innovative change for communities in today’s increasingly complex and urbanised world. Studio TCS is led by artists Jennifer Turpin and Michaelie Crawford and curator Christiane Statham. The studio is the evolution of the award winning public art practice Turpin+Crawford Studio. Artist duo Jennifer and Michaelie have been at the forefront of public art practice in Australia since establishing their studio in the 1990s. They now welcome curator Christiane Statham, who shares their abiding interest in the natural environment, the public domain and the potential of public art and cultural engagement within everyday urban life. This new partnership will build capacity and add depth and breadth to all aspects of the practice. We understand the complexities of the public domain and the challenges of scale, regulatory requirements and developing communities. Our extensive experience as both artists and strategists allows us to work with clients and their design teams to develop projects from initial strategy through to final artwork delivery. Our projects are grounded in extensive research. We undertake site visits, consult with communities and other stakeholders, research history, heritage, demographics and environmental conditions and consider the implications of future urban/infrastructure developments and changing technologies. Our art projects are developed in stages to seamlessly interface with the design and construction process of other design professionals and contractors. These include concept, design development, documentation, fabrication, installation and commissioning. We work with models at various scales to test form, colour, light, scale and movement. Prototypes assure structural and mechanical outcomes and functional testing includes hydraulic models and wind tunnel performance. Collaboration is central to our practice. It generates the creative and energetic space of the ‘relationship between’. We work with architects, landscape architects, urban designers, industrial and graphic designers, curators, artists, scientists, academics, engineers, fabricators and communities. Our studio in Sydney shares space with a group of talented designers and engineers, and benefits from the cross-fertilisation of ideas and skills gathered together in one building. We regularly collaborate with this creative community, which includes structural and mechanical engineers Event Engineering and architects and designers X Squared Design, to generate innovative and award-winning projects. The dynamic relationship between place, people and the natural environment underpins all of our work. We are interested in the constant flux of life and the possibilities that exist at the interface of urban and natural environments. Our work is variously sculptural and participatory, permanent and temporary, inter-disciplinary and integrated, educational and activist, conceptual and strategic. Over the past two decades the studio has developed an expanded public art practice. We meld multiple modes of practice in a responsive and holistic approach. Bachelor of Arts, Major in Fine Arts, University of Sydney. Bachelor of Visual Arts, Sydney College of the Arts, University of Sydney. Michaelie is an artist whose work embraces public, environmental and community practice. She is interested in the potential of an expanded public domain practice that ranges from the conceptual to the strategic. Michaelie works closely with her co-directors artist Jennifer Turpin and curator Christiane Statham on public artworks, participatory projects and cultural strategies. Michaelie has collaborated with Jennifer Turpin for over 20 years on large-scale public projects. Together, as Turpin + Crawford Studio, they developed community environmental projects such as the Memory Line for Restoring the Water Project, produced permanent commissioned artworks such as Halo in Sydney’s Central Park, Tied to Tide in Sydney Harbour, Water Falls at Sydney Park and the forthcoming Light Line Social Square for the 8 new stations of the Sydney Metro Northwest, a collaboration with Peter McGregor and Hassell Studio. They have worked on multidisciplinary design projects for urban precincts including Barangaroo and have developed public art and cultural strategies bringing their artist’s creativity and cultural knowledge to each unique project. Michaelie’s early career included teaching art in prison and co-developing a seminal arts-in-health project. Both were formative in developing a desire to work in the public domain and with communities. Michaelie loves reading, making, thinking and walking. Jennifer is an environmental artist, experienced in the area of public art where she has produced and managed large scale artworks for the past 25 years. Many of these artworks are associated with environmental restoration projects. Often described as ‘collaborations with nature’ most of the artworks are kinetic, moving in response to the nature’s elemental energies of wind, water or tide. Artworks have been both temporary and permanent. Jennifer has collaborated with Michaelie Crawford for over 20 years on the large-scale public projects. Together, as Turpin + Crawford Studio, they worked on community environmental projects such as the Memory Line for the Restoring the Water Project, and produced permanent commissioned artworks such as Halo in Sydney’s Central Park, Tied to Tide in Sydney Harbour and Water Falls at Sydney Park. They have also worked on urban design projects with multidisciplinary teams such as at Barangaroo and have created public art strategies and plans for urban and green fields developers, bringing their artist’s creativity and cultural knowledge to each unique project. Whilst on a post graduate 3 year travelling scholarship in Europe and UK in the 1980s Jennifer worked as a performance artist with Station House Opera, a formative time where she developed her curiosity and playful investigation of natural phenomena such as gravity leading to early artworks involving balance, counterbalance and the play of gravity and surface tension with water. The scale of her work has always been architectural and public, her interest focused on heightening perceptions through the transformation of large spaces and the creation of immersive environments. In 2016, a Churchill Fellowship took Jennifer to Iceland, Japan, Venice and the Netherlands to explore the culture of water in each of those places. She is currently the Patron for the Ravenswood Women’s Art Prize. In 2018 she became a Founding Director of Studio TCS. 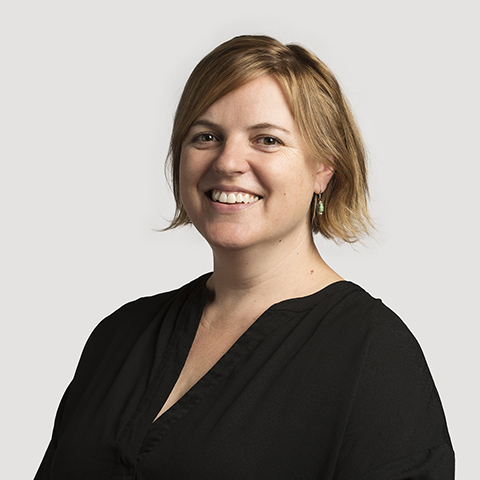 Jennifer likes making things - artworks, presents, installations for parties - snorkelling in seaweed forests, bushwalking, cycling and trying to play the harp. 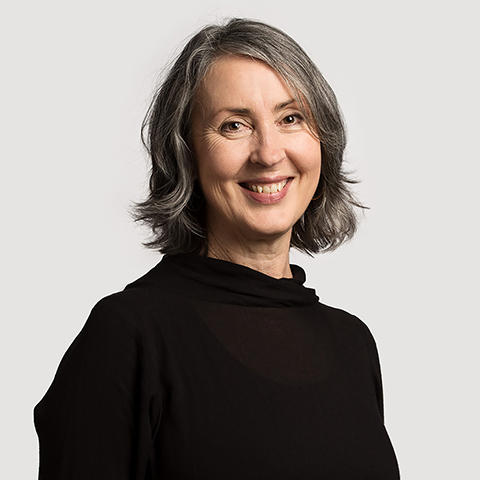 Christiane is an experienced curator, cultural strategist and project manager who has managed major cultural strategy projects, outdoor sculpture festivals, permanent public art commissions and ephemeral art installations. She has worked in artist-run spaces in Germany and the Netherlands, commercial galleries in London’s West End, with private collectors and on many festivals, performance art events and public art installations across the Australia and the United Kingdom. She’s also worked at London publishers Thames & Hudson and the Arts Council of Mongolia in Ulaanbaatar, and with international artists including Jenny Holzer, Richard Wilson and Anne Bean. 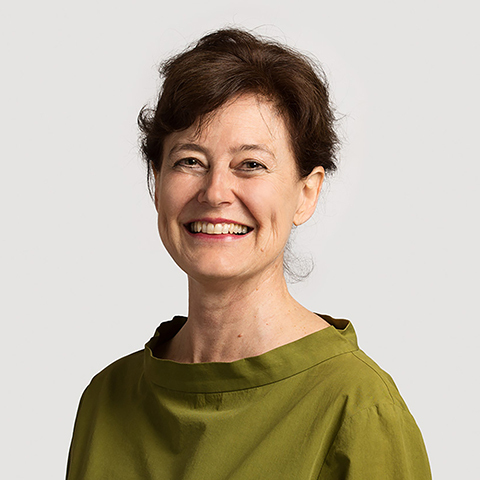 Christiane worked as a consultant and project manager for London based place-making firm Futurecity, and managed the development of cultural and public art strategies for urban renewal projects in Australia and the UK, including the Central to Eveleigh Creative Place Strategy. Since 2016, she has worked with Jennifer Turpin and Michaelie Crawford on public art projects and cultural strategies, and in 2018 became a Founding Director of Studio TCS. Christiane likes reading, contemporary art and swimming with marine megafauna.